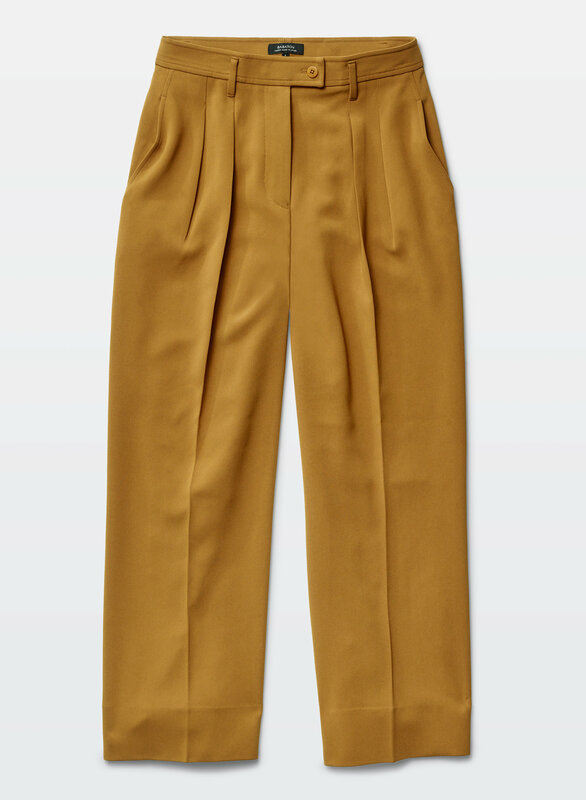 Expertly tailored, this pair of of pants is cut from a softly structured fabric from Japan. 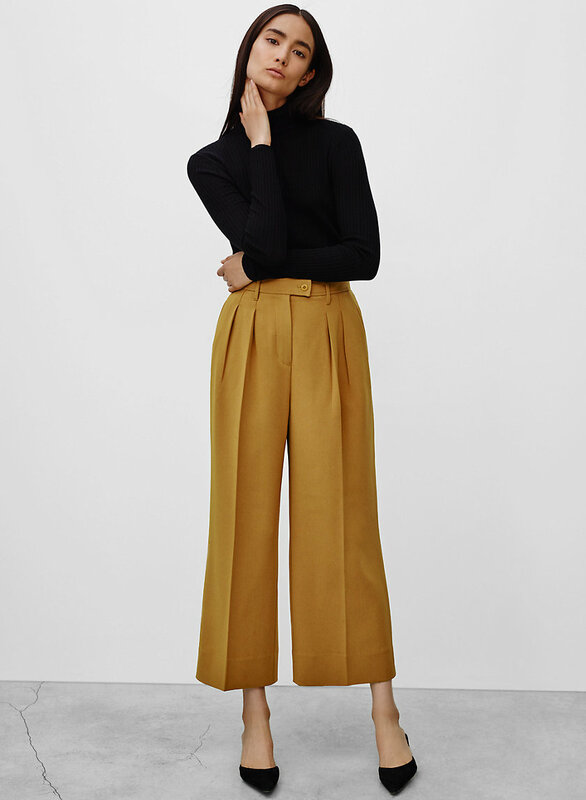 The pants have a high-waisted fit, polished pleats, and a button-and-fly closure. A wide-leg fit and ankle-grazing hem keep the look sophisticated.